Barry Hilton - In March 1689 James II landed in Ireland to continue the long struggle to regain his lost throne. There was no Williamite field army on the island but of course several Protestant enclaves had already crystallised as points of resistance. Derry is by far the most well known of these in modern times. 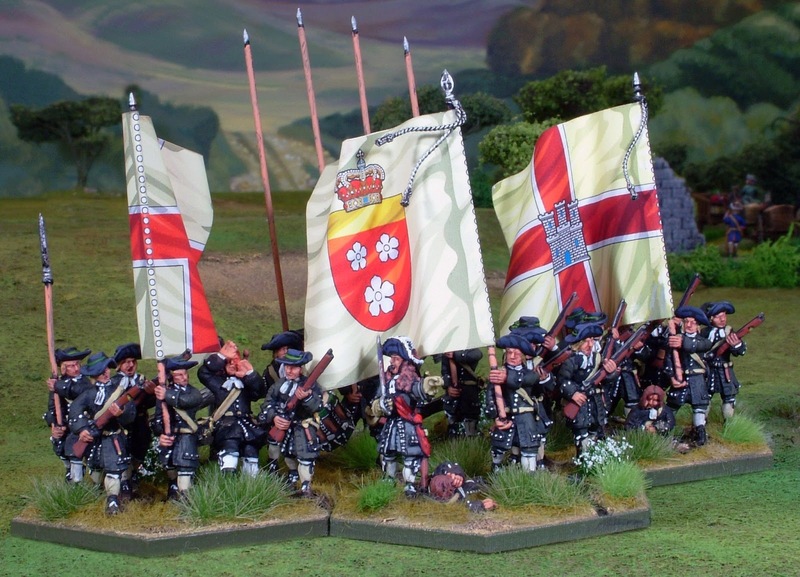 It was laid siege by an enthusiastic but ill equipped Jacobite Army one month after the Stuart King landed and was to remain so for over three months. By 28th July 1689 the situation was critical and if the siege had continued the city would most probably have fallen within a matter of days. 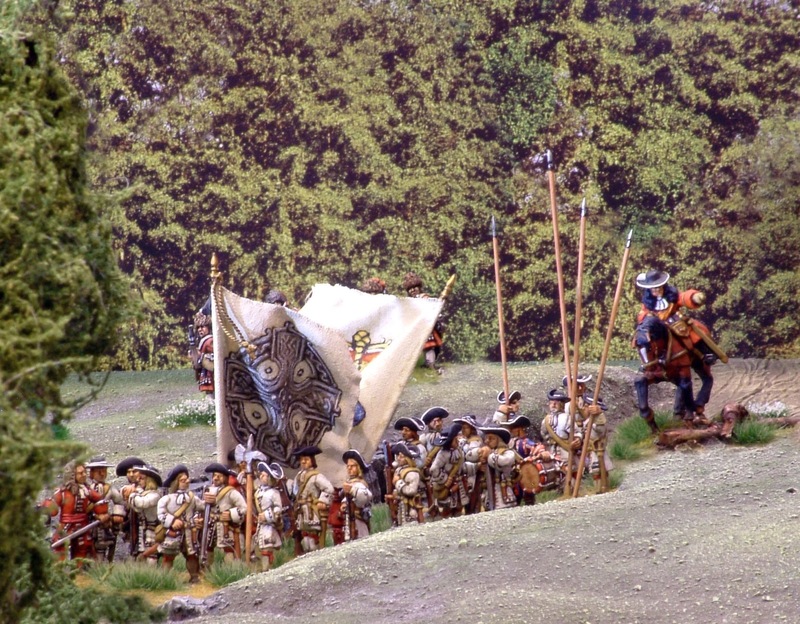 This would have provided an enormous fillip to the cause of James II but as it turned out, the morale boost fell to the Williamites as the city was re-supplied on July 28th and the siege lifted finally on the 31st. In summary, much military activity was going on at sea and on land across the north of Ireland in the summer of 1689. It was undertaken by several sub commands of both sides who were working theoretically in concert but often in practice were not. Another important location of Williamite resistance was the town of Enniskillenin County Fermanagh. The garrison here quickly formed into regiments and began actively mounting raids on the Jacobite lines of communication. The Jacobite general Justin McCarthy the newly promoted Viscount Montcashel was sent by the Earl of Tyrconnel with a small ‘flying camp’(sic) consisting of four thousands of horse, foot and dragoons (some sources say 5,000) to capture Crum Castle about 16 miles from Enniskillen. The reduction of the castle would have made the taking of Enniskillen easier but Montcashel found his command wanting in terms of artillery and the position of the castle made it difficult to capture. After some bloody frontal assaults and close quarter fighting he gave up and headed north-west in the direction of Enniskillen. The Jacobite plans were known to the enemy probably through espionage and treachery and the garrison of Enniskillen had already sallied forth under the competent English officers Wolseley and Berry to attack their potential besiegers. It is thought this Williamite force numbered some three thousands of foot and horse and so initially was inferior in size to that of Montcashel. On the march, the bulk of Montcashel’s horse and dragoons were operating as a vanguard under Brigadier Anthony Hamilton. Hamilton’s command was until recently independent and had just amalgamated with that of Montcashel. Both leading elements unexpectedly collided on the road at a place called Lisnaskea (some sources say Hamilton was lured into an ambush following an initial success) and began to engage. Montcashel with the main body of Jacobites was still some way distant. Hamilton after a brief fight gave an order which he later maintained was ‘wheel left’ but which was delivered by Captain Lavallin as ‘to the left about’. The former order would have resulted in the Jacobite horse retiring upon their main body, the actual order resulted in the cavalry turning tail and leaving the field with the brigadier! This military blunder resulted in the hapless Montcashel now finding himself outnumbered and having to take rapid measures to avert disaster. The Jacobites retired through Newtown burning it to deny cover to their pursuers. The distance between Lisnaskea and Newtown is between five and six miles. Assuming that the main Jacobite body was between the two settlements at the time of the cavalry clash is fairly safe as subsequently Montcashel is described as retreating through the latter. Just how far behind his cavalry vanguard he was, is impossible to determine. The retreat may however have taken a couple of hours. Neither the time of day nor prevailing weather is mentioned specifically in any of the accounts. The men of Enniskillen advance to victory! Montcashel then apparently took position on some high ground to the south of the village. One source describes him placing his body of troops on a pass(sic) which traversed a morass. On one flank beyond the morass lay a wooded area although which flank is not clear. He placed two or three light guns across the road blocking the causeway and braced the guns with a troop of Horse behind. On either flank he placed his Foot. 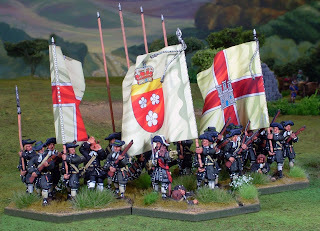 His force was now perhaps composed of 2,500 – 2,900 men (sources say that after his cavalry was chased off Jacobite numbers were inferior to the Protestant forces). The Williamites came on, taking some casualties but halted on the far side of the morass. One source says Wolseley sent forward his horse, forced the causeway, captured the guns and compelled the Jacobites to flee after a single hasty volley. Another says he sent some of his infantry around the Jacobite flank and through the woods. These appeared unexpectedly, and the shock caused the Jacobite force to turn tail and run. Yet another says that infantry crossed the morass, took out the guns thus allowing the cavalry to cross by the causeway. John Kinross in his book makes no mention of Lisnaskea and has Hamilton’s dragoons driving Berryand the Protestant vanguard back on Wolseley. The Jacobites take up position but the Protestants attack first with infantry, killing the gunners and at this point the Jacobite dragoons turn tail and flee leaving Montcashel to pick up the pieces. Despite this title being quite obviously a specialist study of the campaigns of 1689-91 the description of the action at Newton seems the least well researched and is at odds with almost every other source. What is not in dispute is that Montcashel was wounded and captured. Afterwards both Brigadier Hamilton and Captain Lavallin (the officer who had transmitted the order to the vanguard) were brought to trial. The brigadier was acquitted but the captain was put to death still protesting that he had delivered the order exactly as requested. One source states casualties on both sides were light. Whilst another puts Protestant loses at 70 killed and wounded and the Jacobites at 1,400 (equating to as many as 50% of the total combatants) lost in a bloody pursuit along with all drums and colours! As a footnote, I discovered that the settlement of Newtownbutler was until the year 1715 known simply as Newtown. The butler was added after Theophilus Butler was created Baron of the area in 1715. The battle should therefore be known as the battle of Newtown.